Municipal Recreation Department has a staff certified as a HIGH FIVE® trainer. Training can be delivered to staff and/or volunteers of organizations that provide programs for children. See below for more information about HIGH FIVE® and the various training workshops. For inquiries contact the Recreation Department directly at 902-875-3544 ext 225. 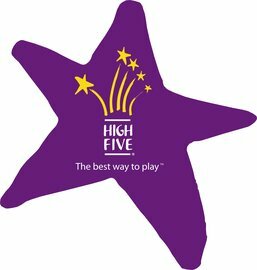 HIGH FIVE® is Canada's only quality standard for children's recreation and sport. It was developed by Parks & Recreation Ontario and was launched in 2001. It is designed to support the safety, well-being and healthy development of children aged 6-12. Before HIGH FIVE®, no standard existed and there was a clear need for an innovative approach to help organizations to enhance program quality and provide positive experiences for children, which would remain with them for a lifetime. This one-day training will help front-line leaders (anyone working with children aged 6-12 - i.e. day camp staff, coaches, instructors) improve the quality of programs. It provides in depth training in the HIGH FIVE® principles of healthy child development so front-line leaders understand what they need to do to ensure each child's social, emotional and cognitive needs are met. Leaders learn activities and gain knowledge, tips and resources to enhance their programs as well as their relationships with children and other staff members. This 4-hour training will help coaches who work with children aged 6-12 improve the quality of their sport programs. It is geared toward coaches of competitive athletes and provides training in the HIGH FIVE® principles of healthy child development so coaches understand what they need to do to balance training and competition with each child's social, emotional and cognitive needs. Coaches learn activities and gain knowledge, tips and resources to enhance their programs as well as their relationships with their athletes. This 6-hour training will help program supervisors and staff who work with children aged 6-12 to foster positive mental health in children, respond to potential mental health conditions within their programs and support children and parents/caregivers to get extra help when needed. This training will give a basic understanding of children's mental health, give practical tips and strategies that can be used in programs and provide links to other resources and agencies where parents and families can find further information and help. This training was developed by CMHA Ontario and HIGH FIVE®.